This is a little fusion that has been brewing in my head for quite a while and this weekend I finally had enough time to do it. 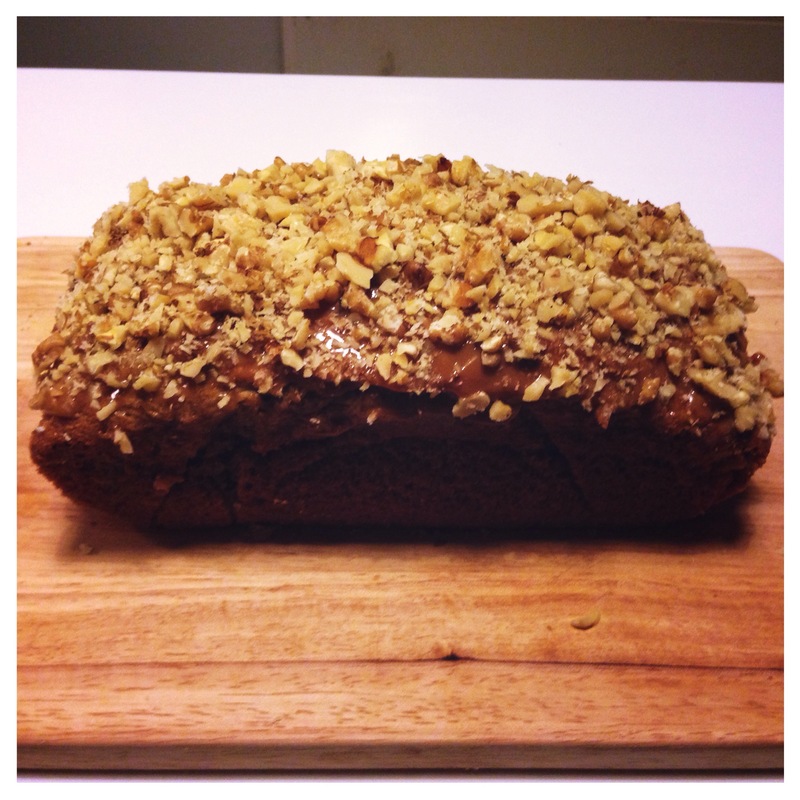 I made a pretty standard banana loaf and topped it with todfee and chopped walnuts. 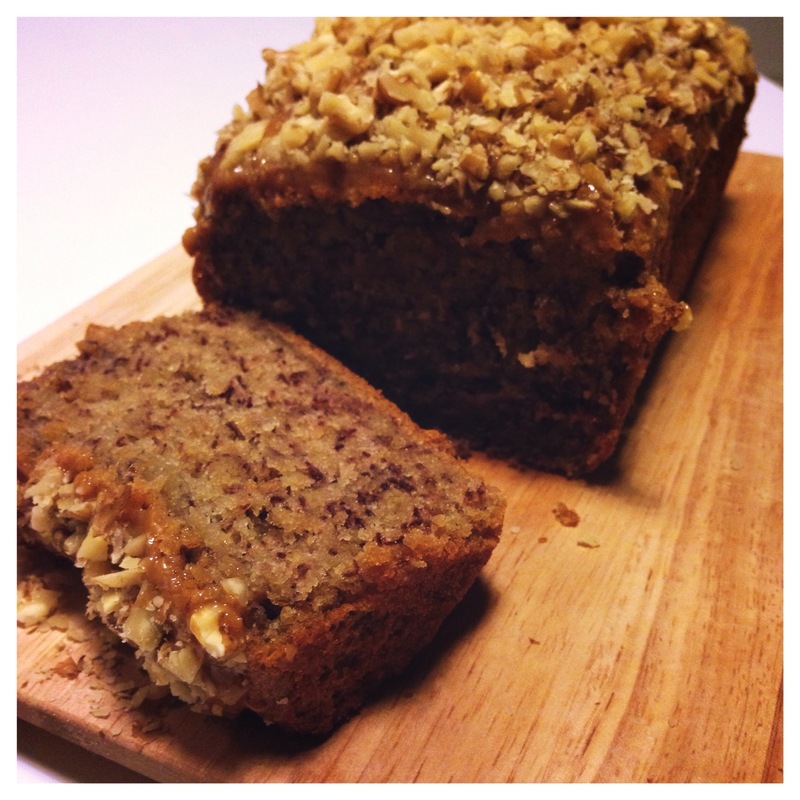 It’s simple but really takes your banana loaf to the new level of rich and extravagant dessert. It’s great for your after dinner treat or simply when you fancy something sweet. It’s a very easy recipe that gives you the advantage of throwing everything into one pot so there will be hardly any dishes to wash and it’s also very cheap. If you feel more advantageous you can add a spoon of cinnamon however because I was doing the toffee topping I didn’t think they would go together. 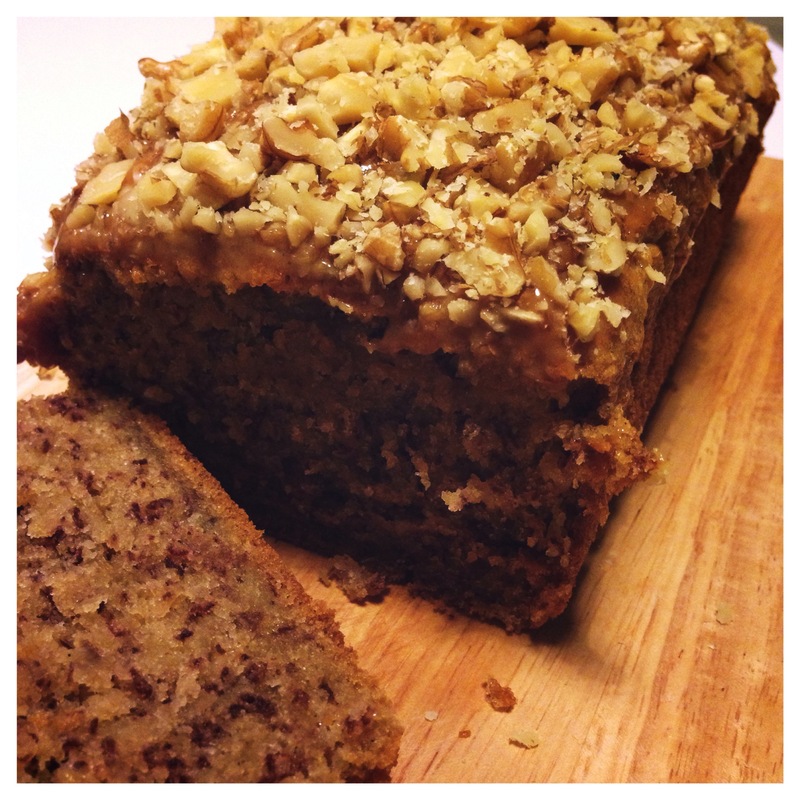 The sweetness of banana bread and the salty sweetness of toffee with crunchiness of walnuts worked very well together. You get all kinds of textures and flavours coming through and it’s a different take on everyone’s favourite classic. 1. Heat oven to 170C.Grease a 2lb loaf tin with some butter and line the base with baking parchment. 2. Melt the butter, sugar and vanilla extract in a larger saucepan (other ingredients will be added later) on a medium heat and set aside to cool. 3. Add mashed banana and beaten egg and stir well. 4. In a separate bowl mix flour, bicarbonate soda and baking powder then add to the saucepan with the rest of ingredients and mix well adding milk at the end. 5. 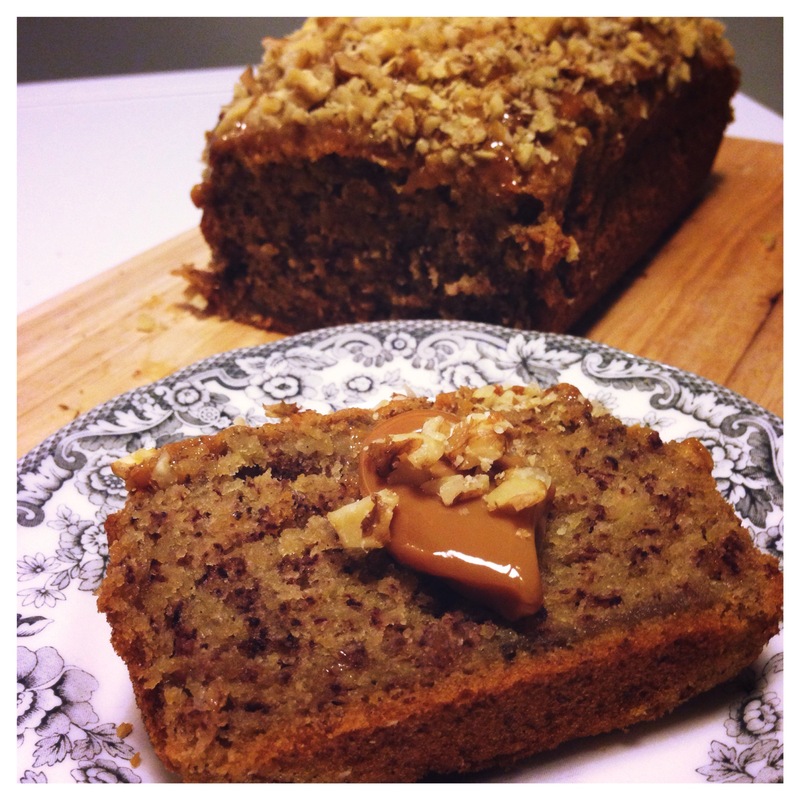 Pour into the earlier prepared loaf tin and if you are not adding the toffee topping sprinkle some demerera sugar on top for a crispy topping. Bake in 170C for about 40 minutes. Test with a skewer. The cake is ready when it comes out clean. 6. 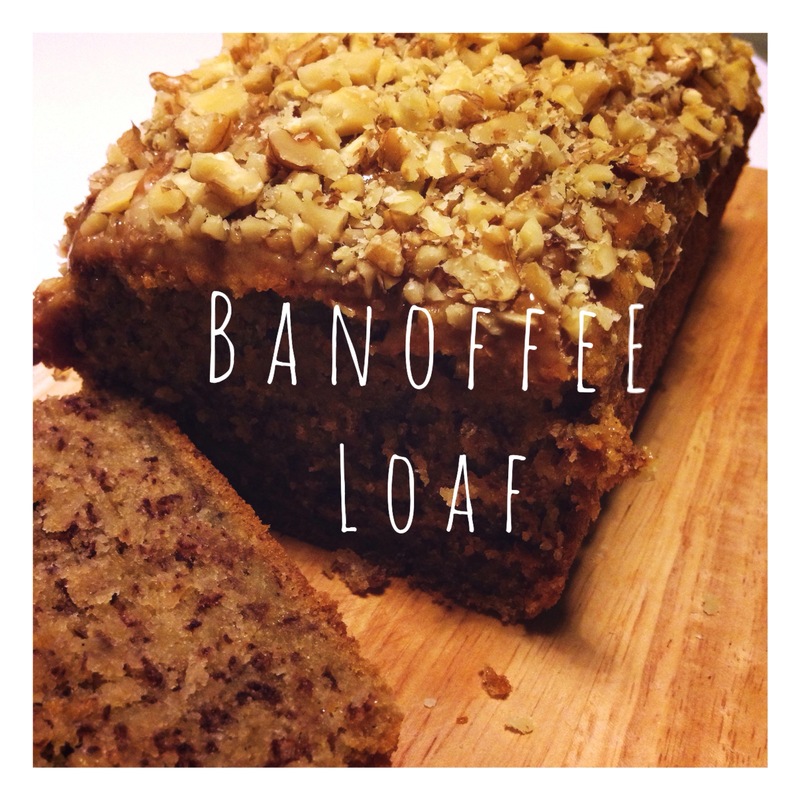 When your loaf cools down spread a generous layer of toffee on top and sprinkle with chopped walnuts.